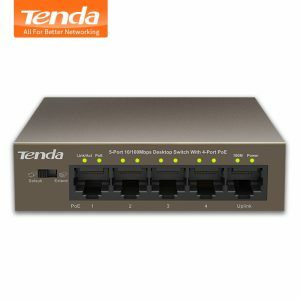 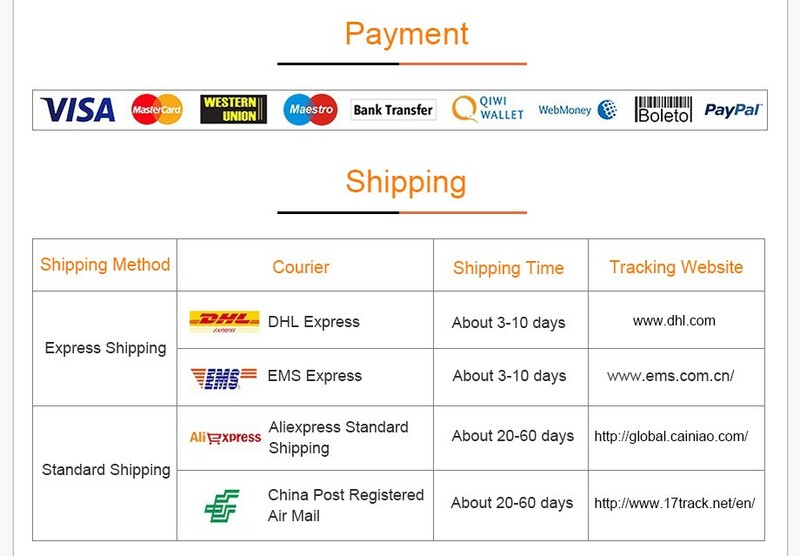 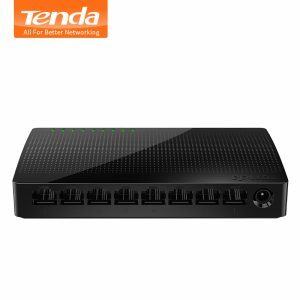 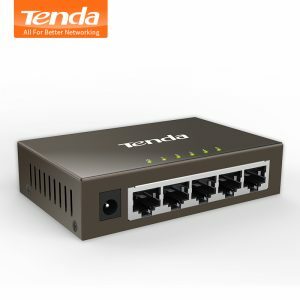 Buy Tenda TEF1218P-16-250W 16-Port 10/100Mbps with 2 Gigabit Web Smart PoE Switch,Long Distance Transmission Switch,for HD camera/AP - In Stock Ships Today! 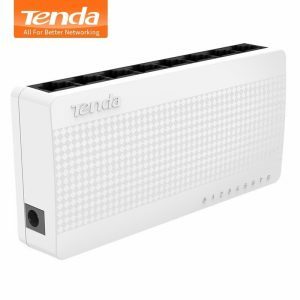 Purchase this product now and earn 828 Points! 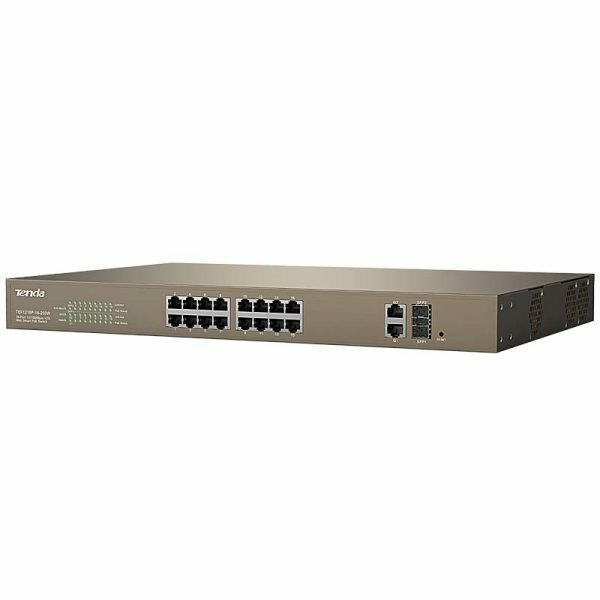 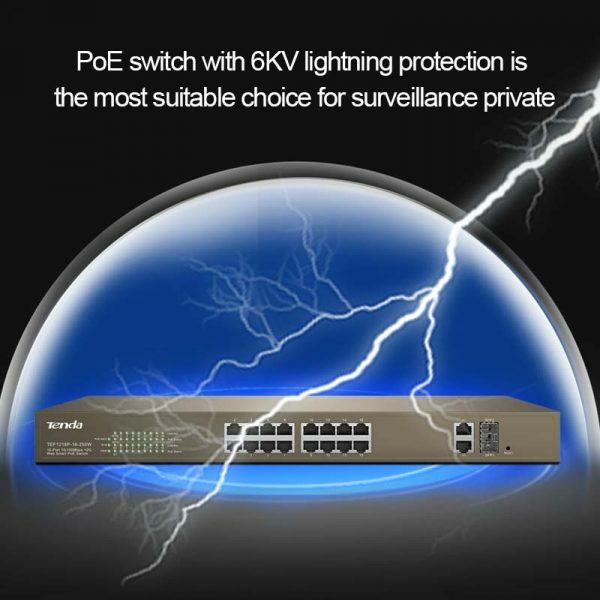 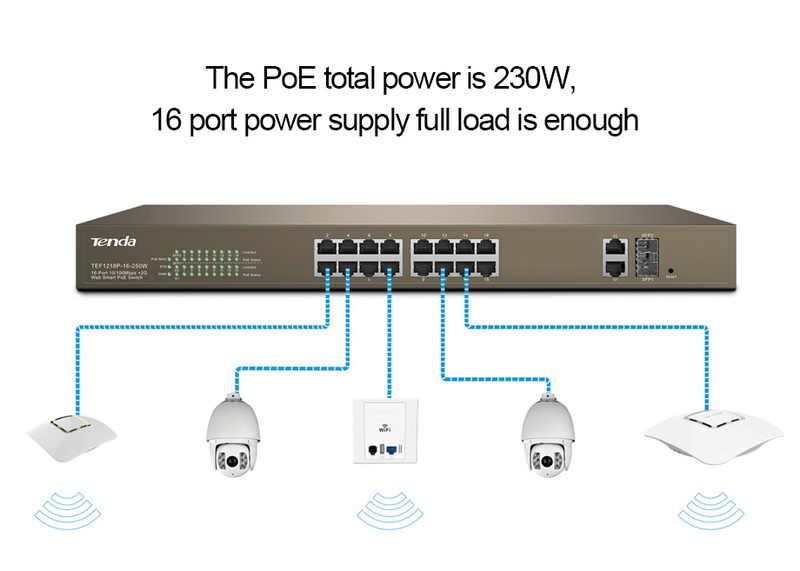 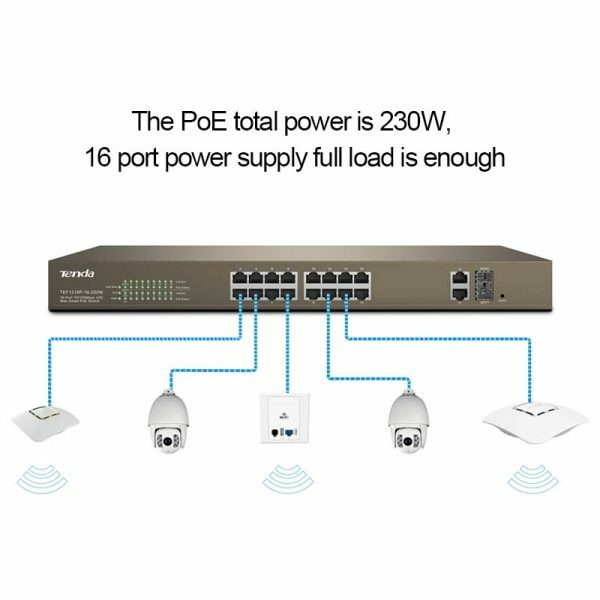 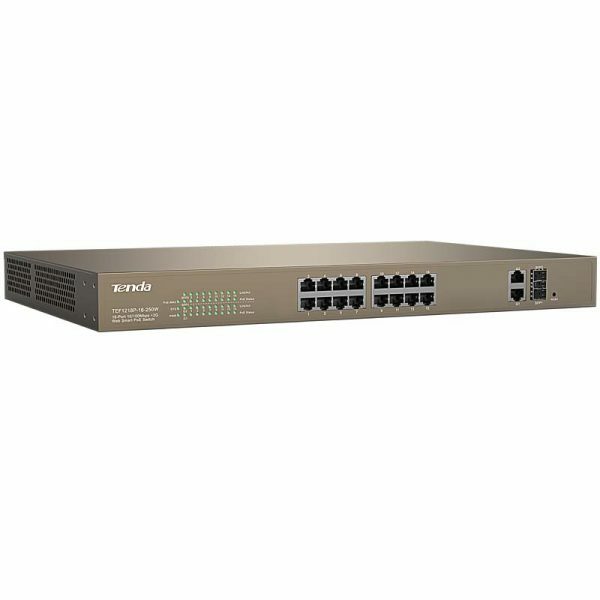 Tenda TEF1218P-16-250W switch supports 16 PoE ports, which can supply power to most powered devices through 8-core Ethernet cable, and the total PoE power can be up to 230W while each PoE port can support the maximum PoE power of 40W. 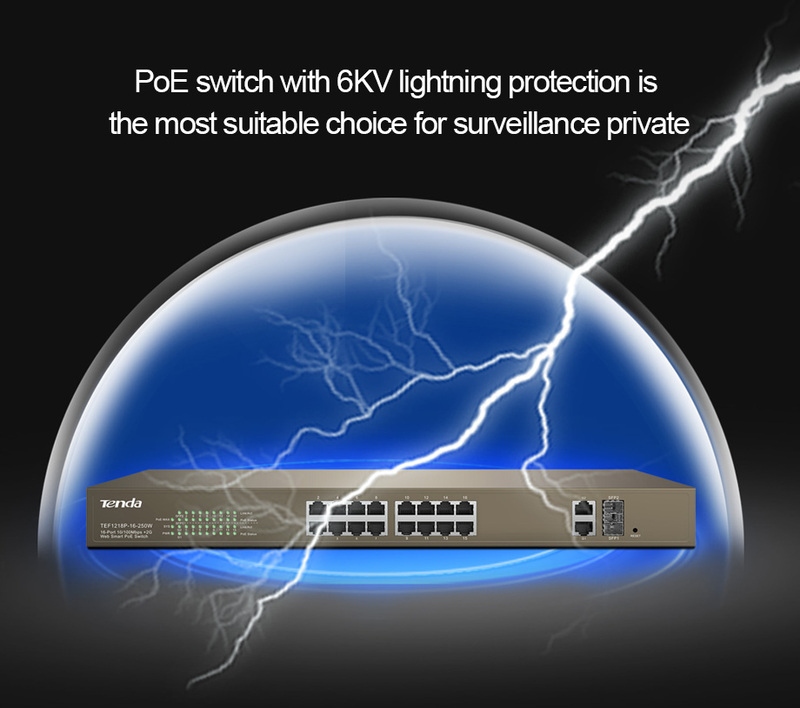 In reality surveillance project, cameras are generally installed outdoors or in high position, which makes the cameras and switches under the risk of lightning shock . 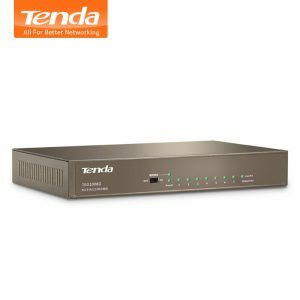 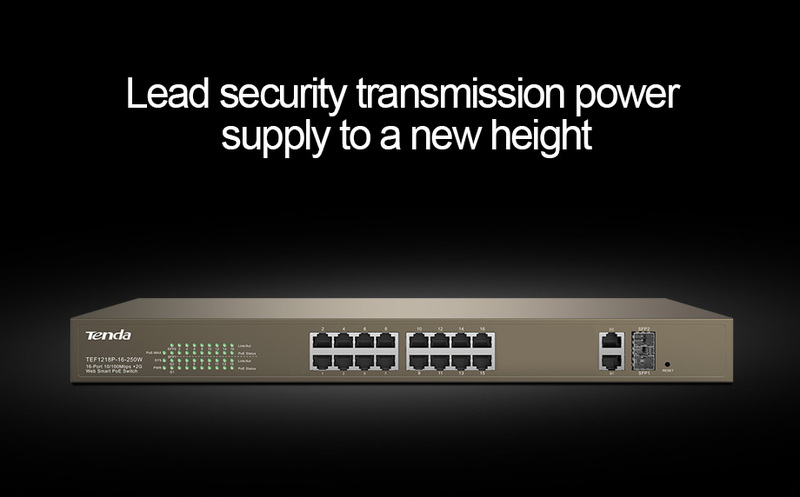 As a result of the individual equipment damaged, or lead to the whole local area network (LAN) paralysis, Tenda TEF1218P-16-250W series switches are designed with professional ports and lightning protection up to 6 KV , with two kinds of protection design respectively and effectively restrain the power of lightning from cable , which equivalent to give the entire network monitoring system with a security fence. 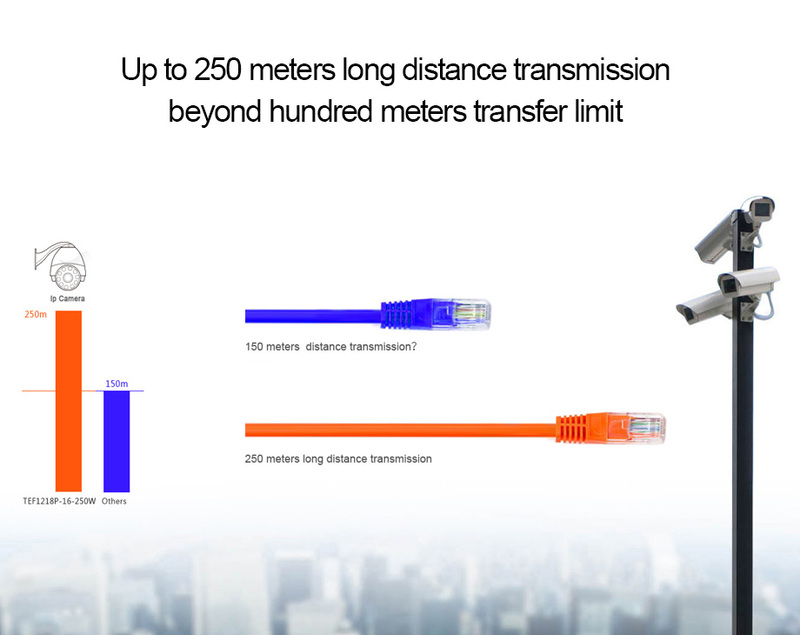 The test standard is much higher than the national CCC request. In thunderstorms weather, it can also provide monitoring network stableandreliable service, protecting the images transmission to be normal. 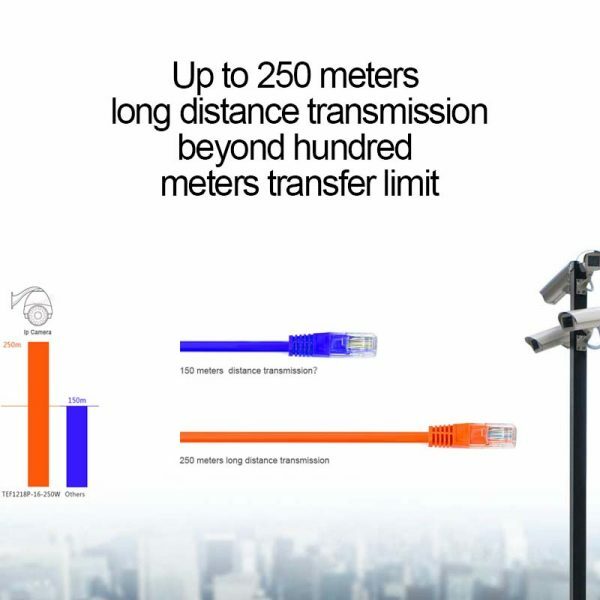 In the complex surveillance environment, when making cabling and networking, it generally encounter the problem of inadequate network transmission distance, the distance of each camera terminal to the monitoring center is different, some only a few meters, some hundred meters, while some are more than kilometers. 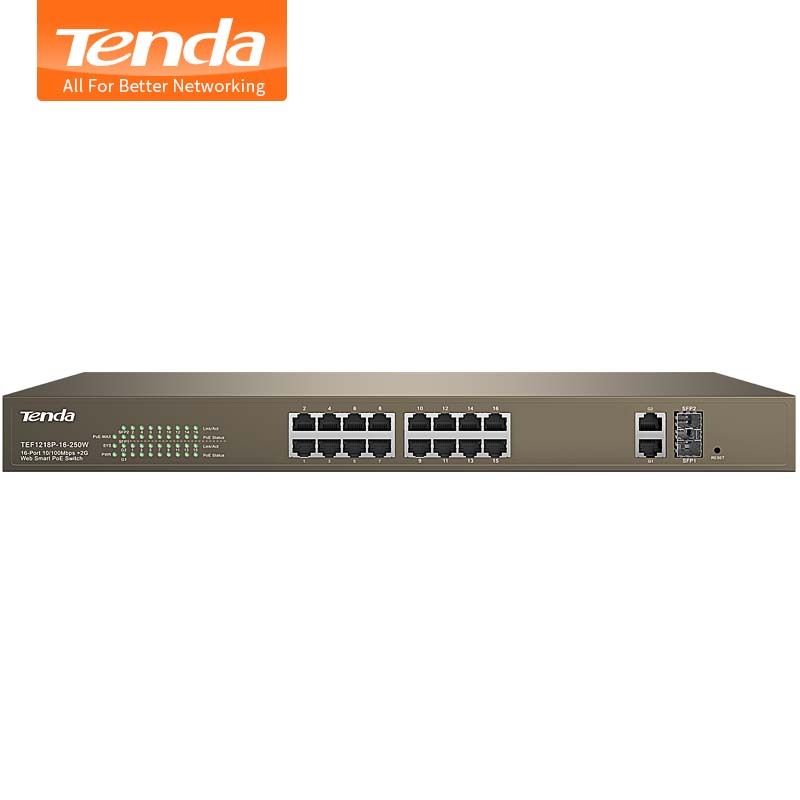 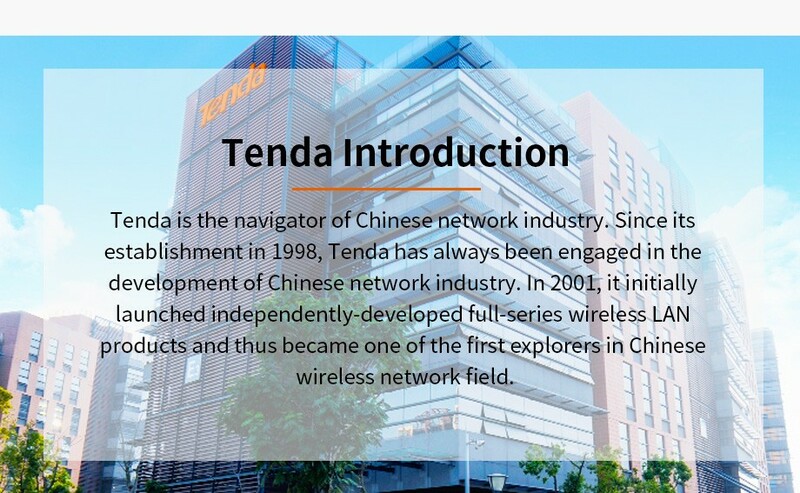 Tenda TEF1218P-16-250W series PoE monitoring switches with exclusive patent network extension technology and using the common existing twisted pair, can support 250 meters data transmission and break the existing twisted pair hundreds meters transmission limit. 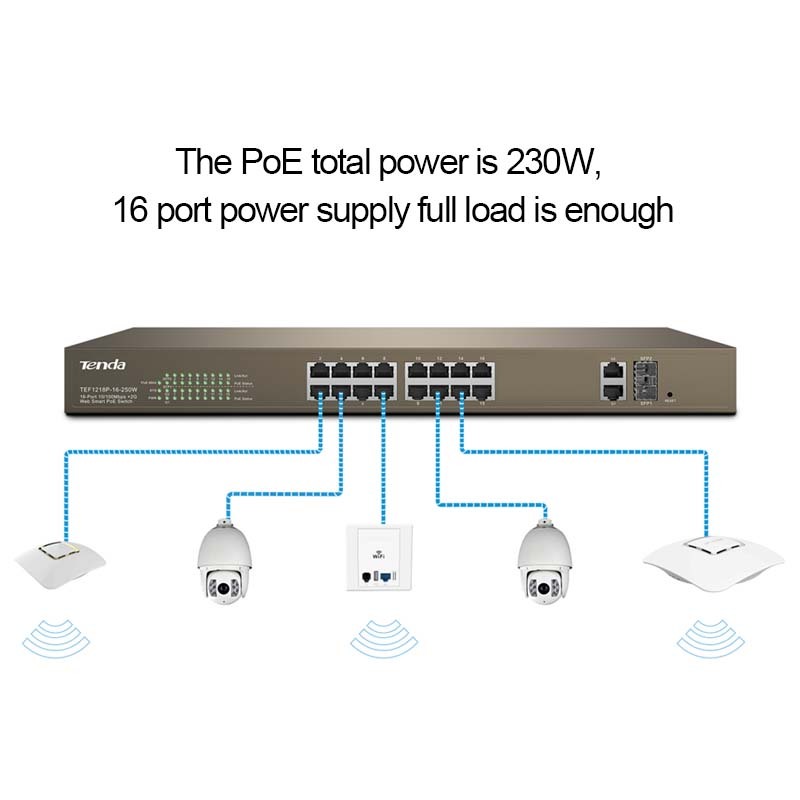 and other power supply equipment. 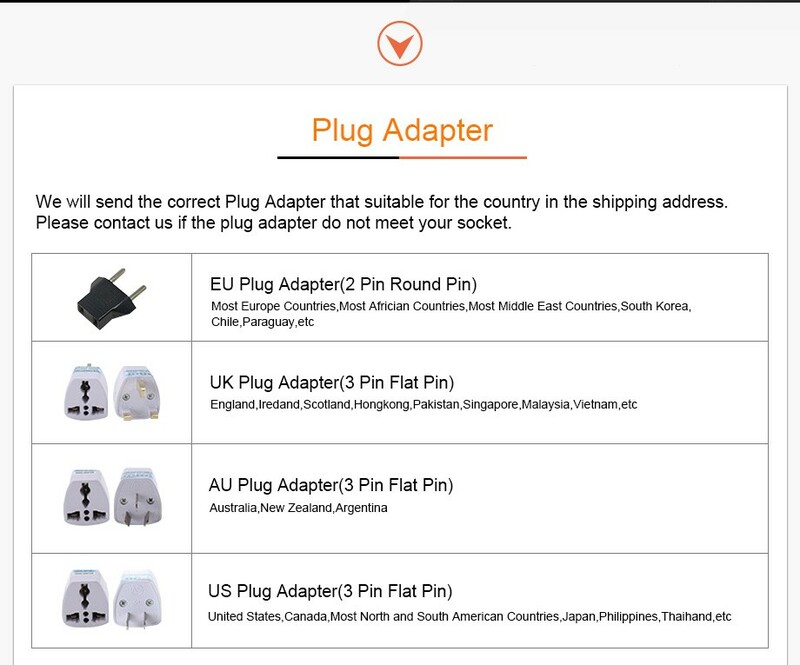 which ensure the camera get electricity and stability.